The 8 Best Places for Mac and Cheese in North Dakota! Is there anything more comforting than a heaping plate of mac and cheese? 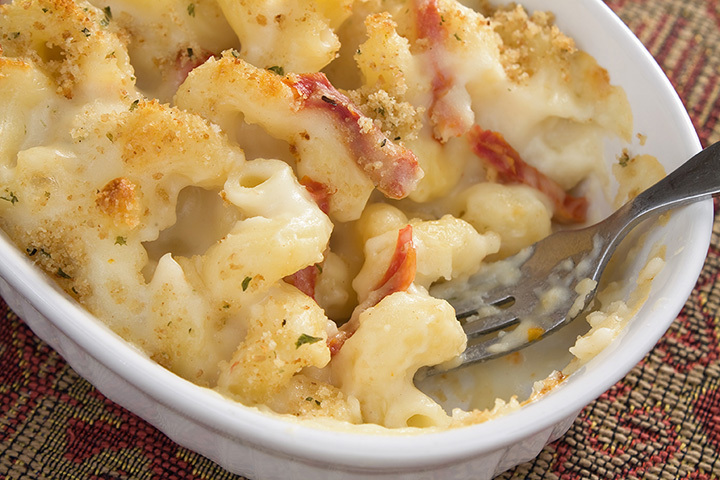 Many of us remember mac and cheese from our childhoods. Sometimes we need to go back in time and experience that cheesy goodness again. When that mac and cheese is elevated to a fine dining level, it is even better. If you have a craving for good ole mac and cheese, check out one of these North Dakota restaurants. Billed as a small plates tavern, Humpback Sally’s is the place to go for mouthwatering entrees, including their Cowboy Mac and Cheese. Although the restaurant encourages trying as many different meals as possible, you won’t want to venture far from the mac and cheese. Enjoy mac and cheese in a different form by sampling Ebeneezer’s mac and cheese bites. Not only will you enjoy creamy mac and cheese, you will receive sweet, fried breading as a bonus. Is there anything better? Although Dickey’s is a chain restaurant, the state’s only location is in Minot. Stop in and enjoy their great barbeque, and add a side of mac and cheese. Chances are high that you won’t be able to decide which part of the meal is better. Although their specialty is hot dogs, Dog Mahal has managed to perfect mac and cheese as well. Served as an extra side, throw the dish on your dog for an out-of-this-world experience or enjoy by itself. Either way will amaze you. Mezzaluna is fine dining at its best, and their mac and cheese reflect that. Very few places serve the dish with more flavor and elegance. Whether you are interested in an appetizer or a meal, the mac and cheese at Mezzaluna will delight. Of course, a place with “noodles” in their name would serve excellent mac and cheese. Their Wisconsin Mac and Cheese is creamy and delightful. You can even spice it up a bit by adding oven roasted meatballs. Mac and cheese at a pizza place? If you are at Ole & Lena’s Pizzeria, then yes! Their bacon, macaroni, and cheese pizza combines two universal favorites. It doesn’t get much better than that. Although Herds & Horns is a fairly new restaurant in the Fargo area, it has quickly built a reputation as one of the best. Billed as offering “so much more than bar food,” it has embraced mac and cheese, giving the meal an entire section on the menu. The dish is available as Mama’s Mac, Buffalo chicken, bacon cheeseburger, jalapeno popper, and chicken bacon ranch.